Vrindavan, the ‘Leela Kshetra’ of Sri Krishna, is not just a place that exists on the pages of Jaidev’s Geet Govinda or simply in the minds of millions of Krishna bhakts. It is a place that exists right there beside the Yamuna, the river across which Vasudeva carried Krishna to Gokul and where Krishna subdued the serpent Kaliya. So seamlessly does history blend with mythology in Vrindavan, that at times it becomes impossible to separate one from the other. The enthralling aartis on the banks of Yamuna and the Hare Krishna chants in thousands of temples will transport anyone back in time when the Lord played His flute and walked through the streets of this small town. While on one hand, living in Vrindavan means experiencing a fragment of history, modern developments make it a place that is easy to reach and has all the amenities necessary for a comfortable stay. It is a transition city that is gearing up to welcome Krishna devotees from all over the world and offer them an experience they will treasure forever. Vrindavan is well connected to the rest of the country by road, rail, and air. By Air: Kheria Airport in Agra is less than 2 hours away from Vrindavan. You can even take a flight to the Indira Gandhi International Airport at Delhi and take a car from the airport to reach Vrindavan in about three and a half hours. However, another international airport at Jewar is on the cards. The new airport will be just one and a half hours away from Vrindavan. By Rail: The nearest long-distance railway station is at Mathura. It is about 14kms away from Vrindavan, a distance that you can cover in half an hour in a taxi. Alternatively, you can take a local train from Mathura to Vrindavan. 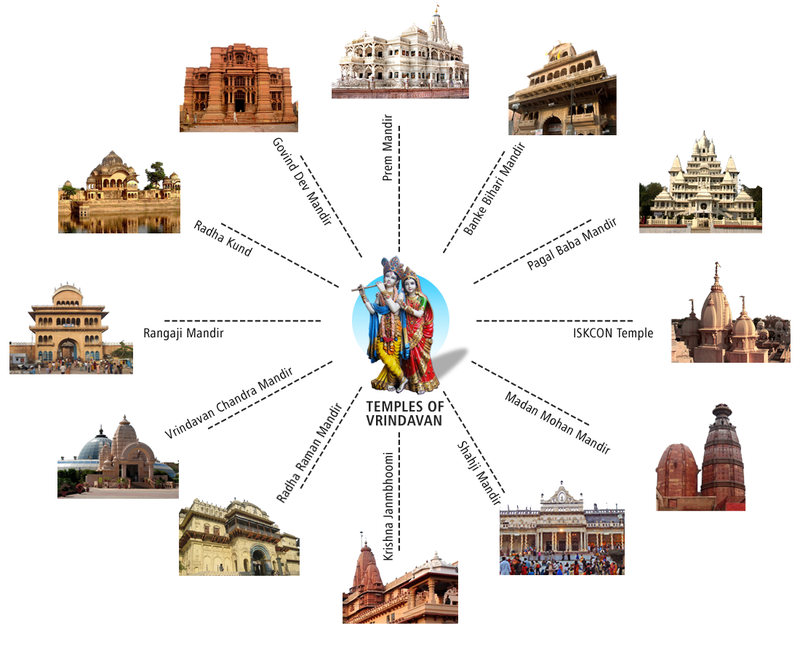 By Road: : You can get direct buses to and from Vrindavan every day at the Sarai Kalai Khan Interstate Bus Terminal. You may even take a Mathura or Agra bound bus which will drop you at Chatikara Road. Take a motor rickshaw from there to reach Vrindavan. 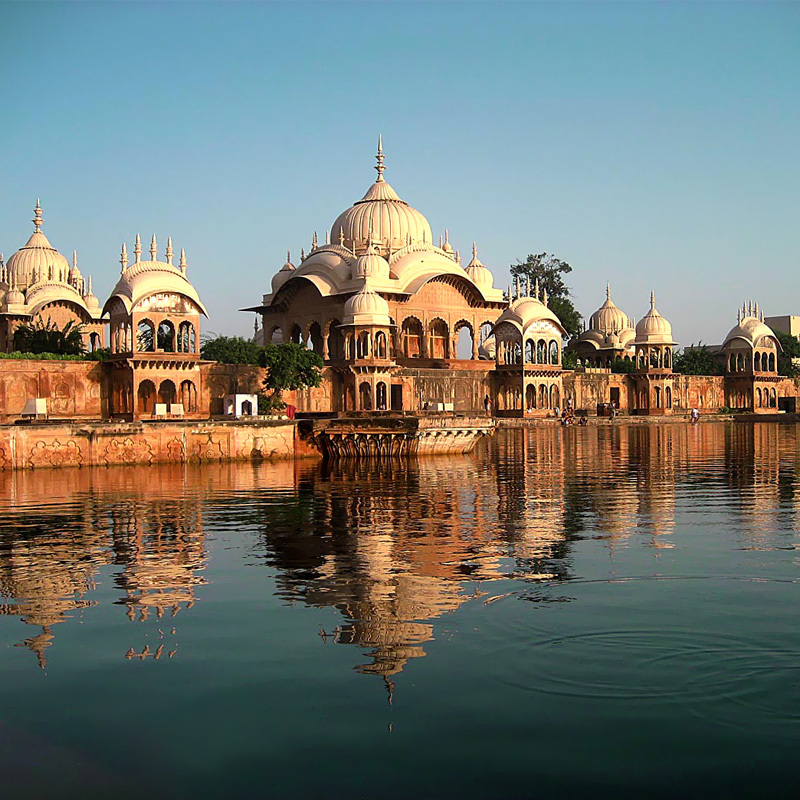 Devotees from all over the world visit Vrindavan throughout the year. For them, any time is good enough for a darshan of the Lord in His own land. Being one of the holiest towns in India, Vrindavan celebrates many festivals, especially those dedicated to Krishna. From Janmashtami to Radhastami, Govardhan Puja to Guru Purnima, you can be a part of countless festivals in this beautiful town of Braj. However, the one festival the makes Vrindavan famous is Holi. Vrindavan has its own version of this age-old tradition, which also includes playing Phoolowali Holi or Holi with flowers. A Krishnabhumi Holydays membership gives you the chance to experience Vrindavan for 7 days every year. You can participate in any festival, witness the mesmerising aartis, and wake up to the chanting of the Maha-mantra. You can be with the Lord in His own land, whenever you wish to, whenever you hear the Call.